Auckland Car Buyer offers a range of services that are designed to meet the needs of car sellers. With us, you get cash for your car along with premium services. Cash for Unregistered Cars – Selling a car that is not registered isn’t difficult at Auckland Car Buyer. We pay cash for unregistered cars and don’t make the process difficult. Just let our appraiser know that your car is not currently registered, and we’ll take care of the complicated procedure for a smooth sale. Cash for Old Cars – Your old car is no problem to sell at Auckland Car Buyer. We specialise in old cars, paying cash for old cars. Get all the services you require for your old car like free removals along with an instant cash payment for the car. Cash for Scrap Cars – Get the value of the metals for your scrap car when you have us recycle the car. We pay cash for scrap cars, offering the recycling value of the car to the owners. Unwanted Car Removal – We are the fastest way to get rid of unwanted cars. Our unwanted car removals Auckland are provided the same day that you contact us to have your car removed. Old Car Removal – Old car removals are fast and convenient regardless of the condition of the car. Get cash for old cars and free old car removals Auckland with us. We guarantee no hassles and no inconveniences. Cash for Damaged Cars – When the car is not worth the cost of repairs, or there are no funds to repair the car, give us a call. We pay cash for damaged cars that are fair cash offers valuated on the different factors of the car. With us, you get fair cash for your car. 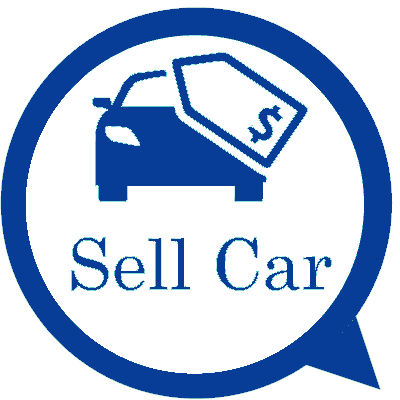 Used Car Buyer Auckland – Avoid the costs and hassles of selling used cars and still get fair prices for the cars. Auckland Car Buyer buys used cars of any make and condition of a used vehicle. With us, you don’t have to go to any trouble to get your car sold. Give us a call, and we’ll make you an offer. Cash for Trucks – Create a no hassle sale for your truck whether beat up or in prime condition. We pay cash for trucks of every make ad condition. Get a quote for your truck over the phone or online to get it sold for cash today. Get a quote by calling us at 0800114311 or completing our online quote form. Once you receive a quote, it is up to you as to whether you would like to accept our cash offer for your vehicle. Schedule a free car removal Auckland at a time that is convenient for you. We provide all necessary paperwork and the cash to purchase your car. Our process is fast and convenient and leaves you with cash in your hand. To obtain a cash quote for your car contact us at the number below. We also provide an online quote for any make and condition of car or truck. For an online quote, fill out our "Get a Quote" form. With Auckland Car Buyer, you have a hassle-free car buyer that pays cash for cars.